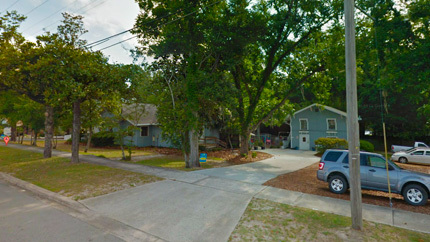 Take a look at Krishna.com's future office building in Alachua. 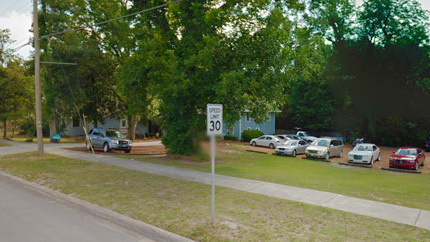 It's actually two buildings on two lots, spanning the block from 145 to 146 streets. 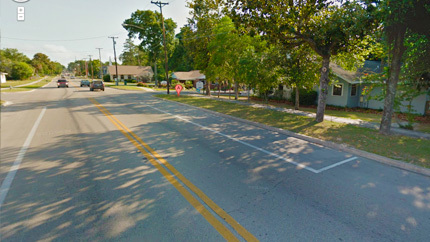 The property is bordered by county road 235, a few blocks from Highway 441, a major business artery. It used to be the Spencer House Montessori School which closed earlier this year. 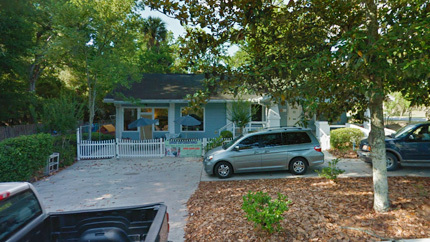 Here's the front entrance, with circular driveway. This is where the gift shop, shipping and fulfillment for Krishna conscious books and devotional items will be. Side entrance off county road 235. 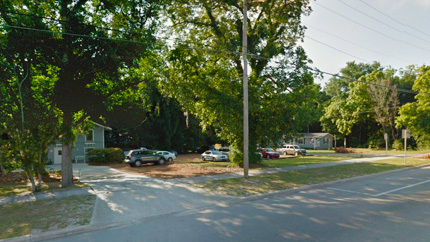 This is a good view of the second lot, which includes a smaller two-story building and large parking lot. Another view of the rear of the main building, and the smaller two-story building. The rear parking lot. This space will allow for a future expansion. The view down CR 235 towards downtown. We're almost there. Only a few thousand dollars left to go. We have already received two thirds of the money, $200,000, plus a loan of $50,000, to purchase these buildings. We'll need to rally the troops and recruit your help with the remaining $100,000 to pay back the loan and to renovate the place. These are old, historic buildings from 1915 with lots of potential. Click on the donate button to help us move in and begin renovation. Every dollar counts. We are a registered 501(c)3 religious non-profit, so your donations are tax deductible (here in the US). We provide proper documentation for tax purposes.